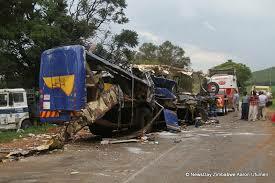 A SURVIVOR of the famous Mutoko bus disaster, Tasiyana Maguma has died. Maguma died in his sleep in Chiroodza village, Mutoko, at the age of 57 with his relatives suspecting that he succumbed to injuries sustained in the accident that claimed 27 lives in January 2015 at Gejo RaRuby Farm. After the accident, Maguma spend close to four months admitted at Parirenyatwa Group of Hospitals. His brother, Stanford, yesterday confirmed his death and said he was complaining of chest pains. “Tasiyana died on Thursday morning. He was complaining of chest pains. As a family, we are saddened by his death. It is traumatic just to wake up and realise that your beloved is dead. His body is currently at Mutoko Hospital mortuary and he will be buried tomorrow (today) in Nyawasha village (Mutoko),” he said. Mutoko East legislator Ricky Mawere said his death is painful, given how he survived the accident. “His death is like losing a miracle baby because when he was in hospital, no one knew he would make it. He experienced pain which was persistent, but soldiered on. I pay tribute to his relatives who gave him maximum support during the time of illness,” Mawere said.